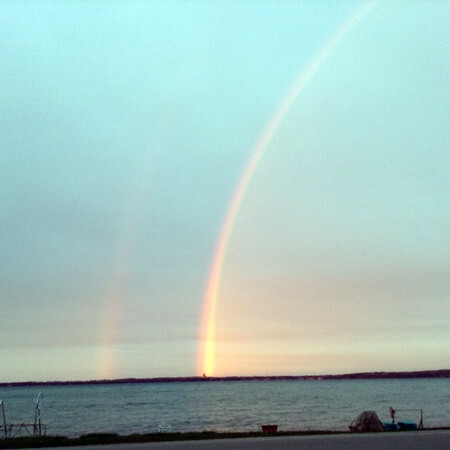 A double rainbow appeared at sunset on May 4. From Old Mission Peninsula, the inner rainbow appears to fall directly over the Grand Traverse Resort. Photo by Joann and Dennis Pearsall.